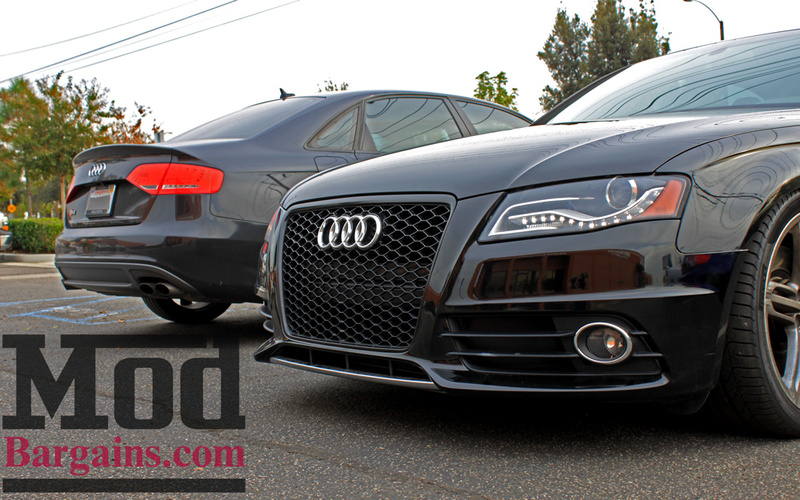 You know, the front end of a car really makes up most of the “look” of a car, so of course, with an Audi where a grille takes up most of that real estate, the OEM grille can leave a lot to be desired. Fortunately Sr. 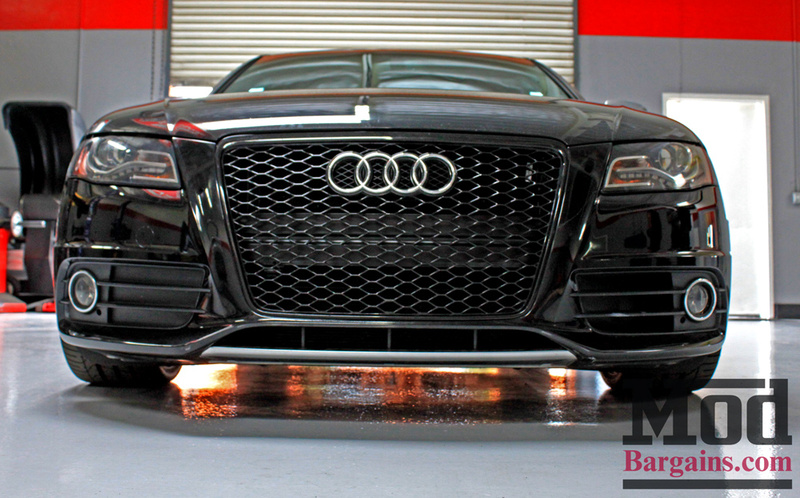 Modification Expert Elliott Goodman was there to suggest this RS4 style grille for B8 Audi A4/S4 to enhance the front end aesthetic of this Audi RS4. This is just the first of many mods to come for this car, we’re sure, and a set of wheels is high on the priority list – still, we thought we’d take a few moments to share the finished product with you. Parked next to Mod Expert Jurrian’s wife Alyssa’s S4, the differences are a little clearer, and offers a fun look at double vision. 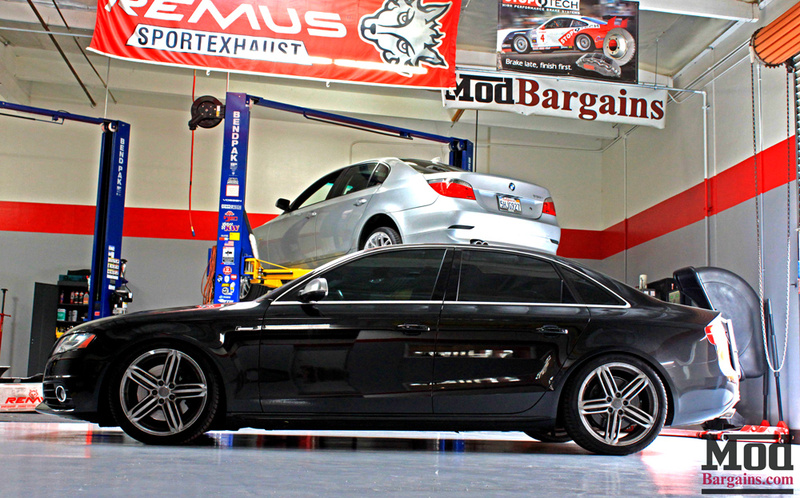 In addition to the RS4 style grille, you may also notice that this B8 Audi S4 Suspension sits a little lower than most. 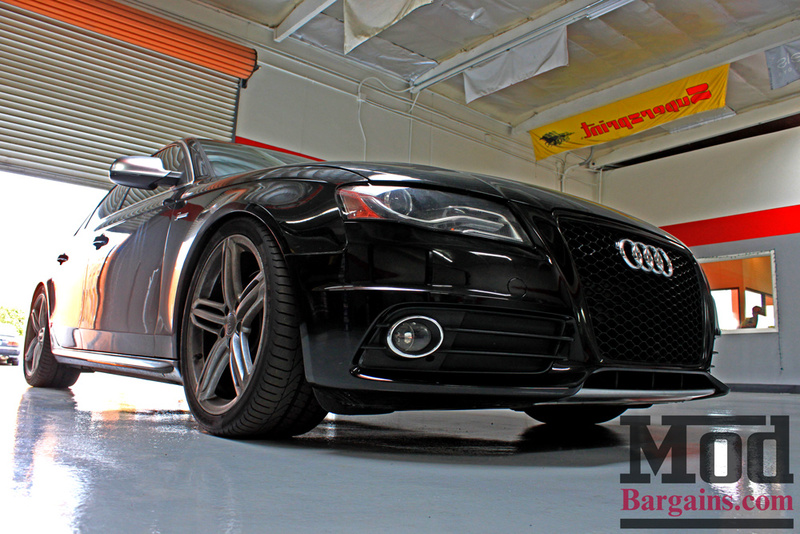 That’s because of a tasteful drop in ride height courtesy of a set of H&R Springs for B8 Audi S4, which offer a 1.2in drop both front and rear for that perfect stanced look. 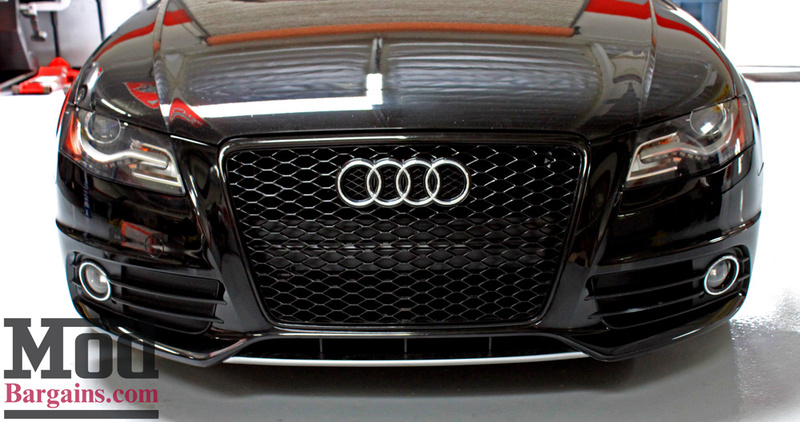 Since the RS4 style grille omits the center divider bar that was there originally, the mesh will expose the OEM crash bar, which will stick out like a sore thumb if you don’t do something about it – which is why, during the installation, we had our techs plastidip the OEM crashbar matte black for a clean, professional looking install. From this angle, the drop is a lot more evident. 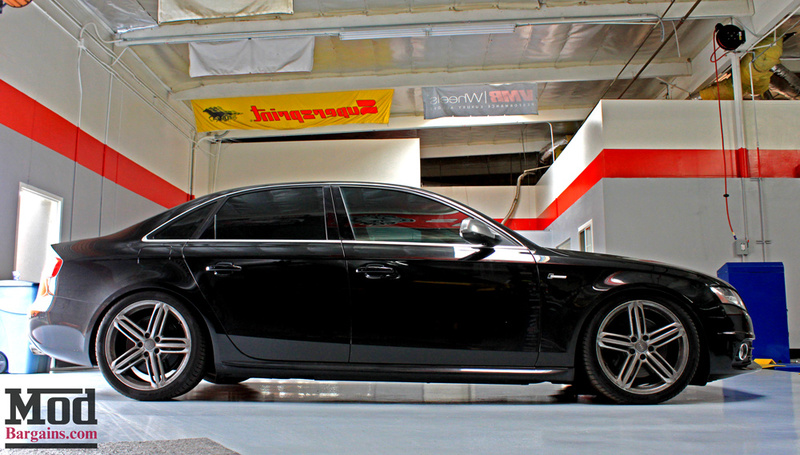 While this S4 is begging for a new set of wheels, the dropped ride height and RS4 grille give the car a much cleaner look than it had rolling in, and we look forward to seeing what the owner’s next mod is. 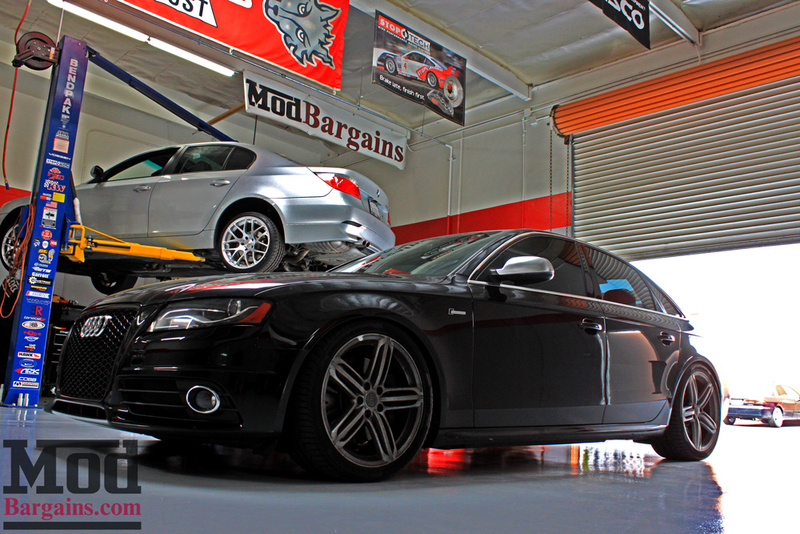 If you’re interested in lowering your Audi or almost any other car, talk to the Modification Experts at ModBargains like Elliott (x8009) at 714-582-3330 or visit our showroom in La Habra, CA on Lambert Rd at Harbor Blvd.